We had a great time on the Mountain Biking Courthouse Loop Trip and we loved our guide. Michael was absolutely excellent and very professional, but also relaxed enough to make for a great experience. He is very knowledgeable about the local area and geology, but also gave us some really great bike handling tips. He is first rate. 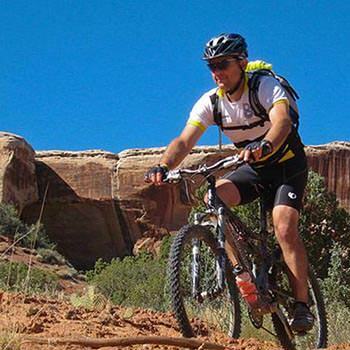 Our Moab Mountain Biking Trip. Laurie at The Moab Adventure Center was a great help, especially with last minute requests. We loved Mountain biking. Beth was great, and patient with all the levels of adults and kids.